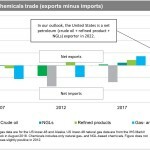 WASHINGTON–(BUSINESS WIRE)–The boom in U.S. oil and gas production over the past decade has exerted a moderating force on what is a large domestic merchandise trade deficit by helping reduce the country’s net petroleum imports, a new report by business information provider IHS Markit (Nasdaq: INFO) says. Continued U.S. production growth is now on track to make the country a net-exporter of petroleum for the first time since at least 1949. 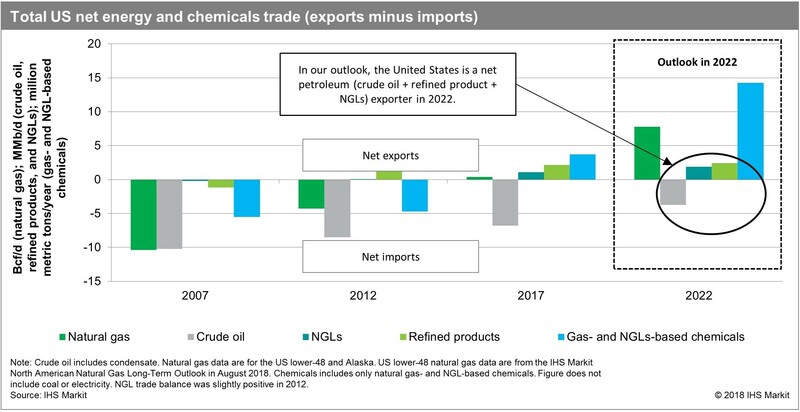 U.S. production of liquids (crude oil and natural gas liquids) nearly doubled from about 7 million barrels a day (mbd) in 2007 to 13 mbd in 2017 and 14.8 mbd in the first nine months of 2018. Crude oil alone rose from 5 mbd in 2007 to 9.4 mbd in 2017 and averaging 10.6 mbd in the first 9 months of 2018 — and hitting 11.2 mbd in October 2018.